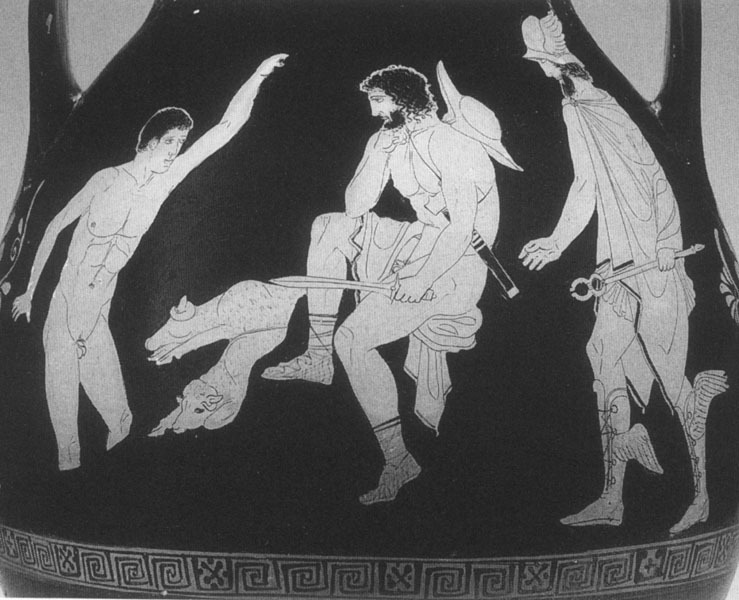 A hero and companion of Odysseus on their return from Troy. He dies in an accident on Kirke's island. Odysseus, in his visit to the entry to the Underworld, meets Elpenor's shade (spirit). The meeting is shown in art.